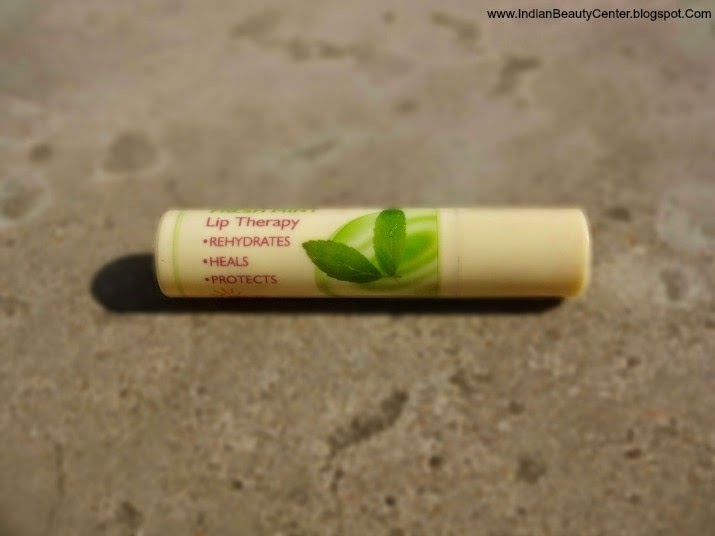 Lotus Herbals Lip Therapy Fresh Mint Review - A Good Enough Chapstick? Product Description- A 3-in-1 product, which Rehydrates, Heals and Protects the lips while leaving lips soft, smooth and supple. Lotus Herbals Lip Therapy Fresh Mint Smile helps to repair dry, cracked and chapped lips. Protects the lips from the drying effect of cold, dry winds of winter. Makes them looks look healthier and smoother. Fresh mint lip therapy imparts lips active moisturizing benefits of Shea and kokum natural butters. It heals dry, chapped and cracked lips. 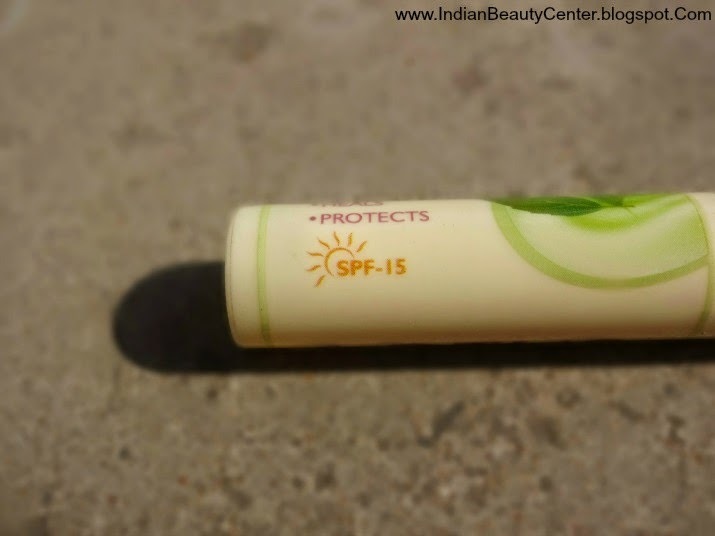 Protects lips from Sun’s (UVA and UVB) rays to prevent darkening and sun induced damage. Hydrates. Heals. Protects. How to use- Apply evenly to lips as necessary specially before going out in the sun. Use twice daily. I purchased this in my Khoobsurati.com Haul and have been loving it ever since then! 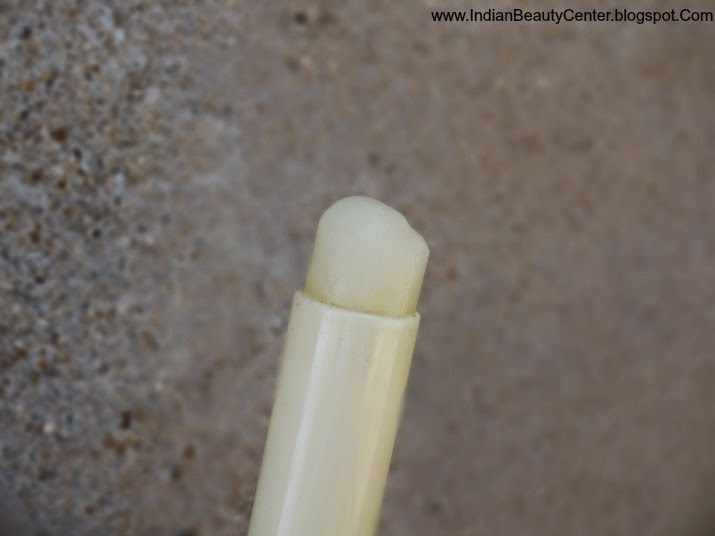 I had also tried the Vanilla lip therapy from lotus herbals and it lived up beyond my expectations. It comes in a normal, slightly yellowish packaging, which has nothing that attractive about it. The mint leaves printed on the packaging actually add a dash of colour to the boring packaging. This lip moisturizer has a retractable packaging. The Lotus herbals lip moisturiser smells slightly leafy and has a very subtle hint of mint to it. Some might like the fragrance while some might not. I remain neutral to the fragrance. This is not a tinted lip balm and is colourless, so do not expect any coverage from this. Final Verdict- For me, this lip balm is a winner. It actually does what it claims and more. It is very affordable and lasts for a long time. The effect this lip-balm gives is amazing and I would keep on repurchasing this and maybelline baby lips again and again. 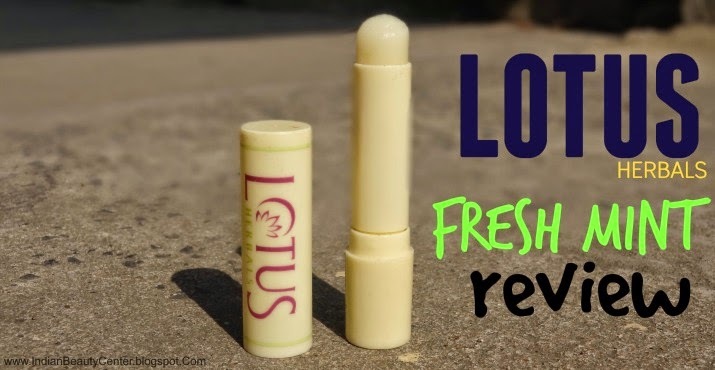 A thumbs up to lotus herbals from my side for creating this amazing little lip balm! 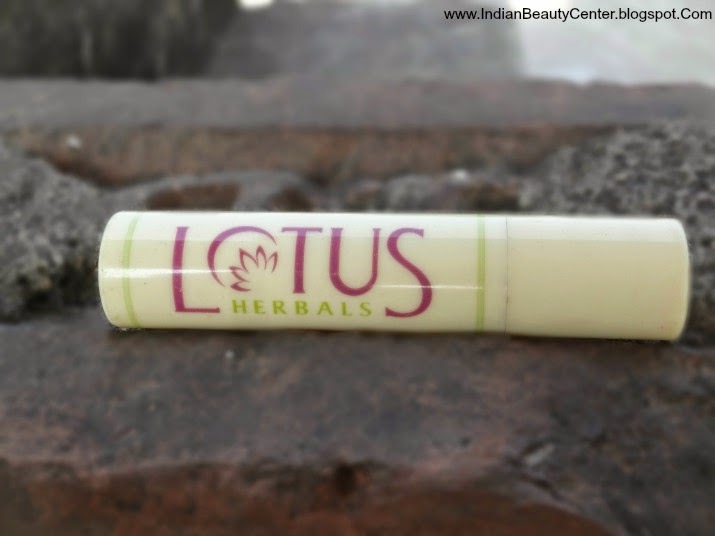 I have tried Lotus Herbals lip therapy in Vanilla , it was passable compared to Maybelline ones .I feel I need to reapply this more frequently .But I would give the mint one a try since you endorse it .